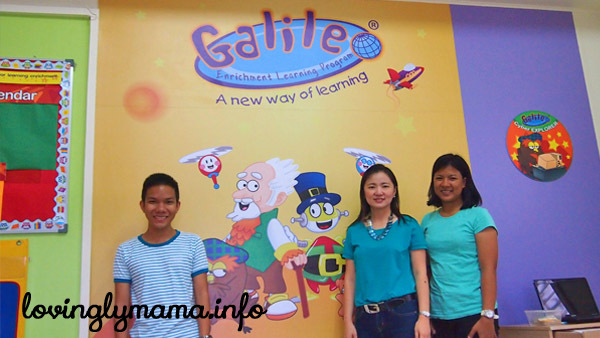 Children in Bacolod can now learn Singapore Math through the Galileo Enrichment Learning Program available at Bright Kids Preschool. Open to all students. Galileo Enrichment Learning Program is now in Bacolod! 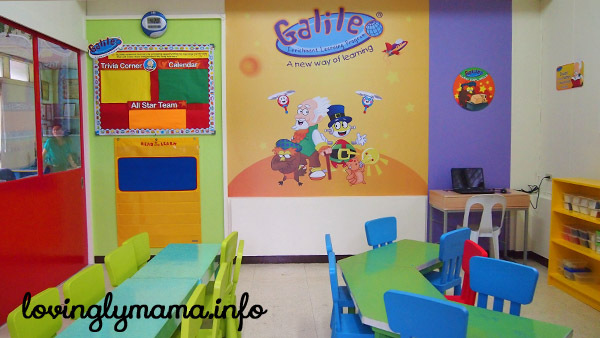 Bright Kids Preschool Bacolod has once again leveled up their school’s offerings by adding the Galileo Enrichment Program to their after-school services. And this is not just open to their students but to whoever would want to strengthen their performances in and their appreciation of the English and Math subjects from preschool to Grade 6. And what’s more, the famous Singapore Math method is also being offered. The Galileo Enrichment facility at Bright Kids Preschool. Galileo Enrichment Learning Program is an after-school program that aims to provide a fun learning environment for kids from ages 3 to 12 for the subjects that many students find difficult–English and Math. And they also included the Singapore Math curriculum that was developed by Filipino educators in order to better suit and supplement the Philippine education system. They aim to empower learners by providing a fun learning time that will eventually lead to the improvement of self-learning and critical thinking skills. This will then be translated to better performance in school. Galileo Enrichment Bacolod. The learning centers. 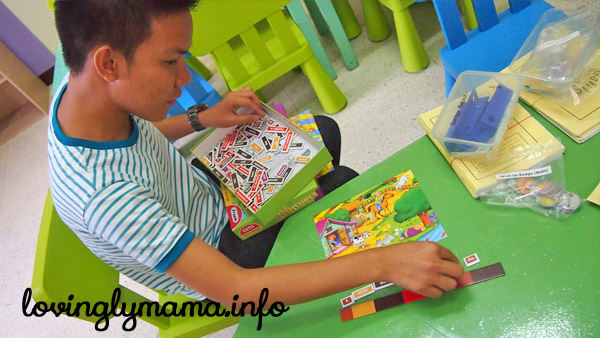 This section has activities that support motor skills through concrete tools like puzzles and manipulative toys. It aims to harness the bodily-kinesthetic intelligence of the learner through experiential activities. Galileo Enrichment Bacolod. 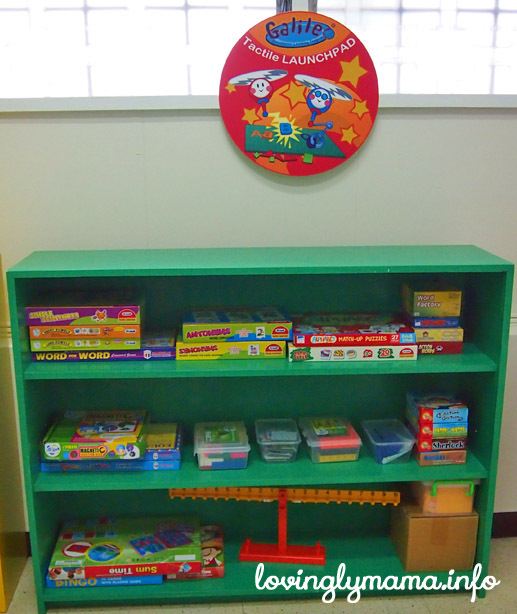 The Launch Pad has different activities to enhance the learning experience. The activities in this center reinforce the rules of thinking by sight, reading, and mental computation in order to build speed and accuracy in the learner. 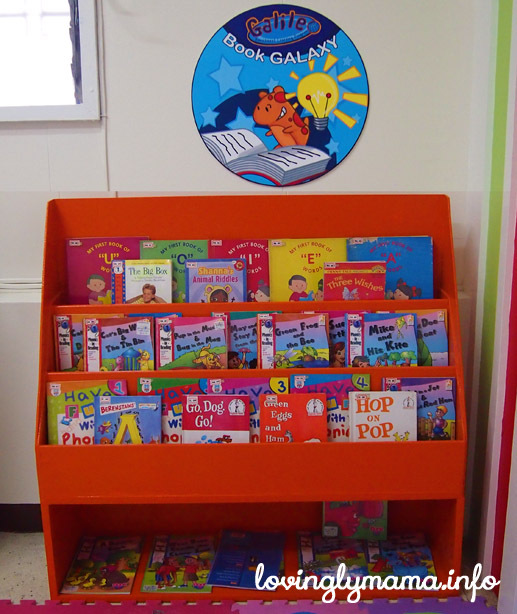 They have reading activities that allow literary appreciation through a wide selection of books accredited by the Galileo Learning Program main office. 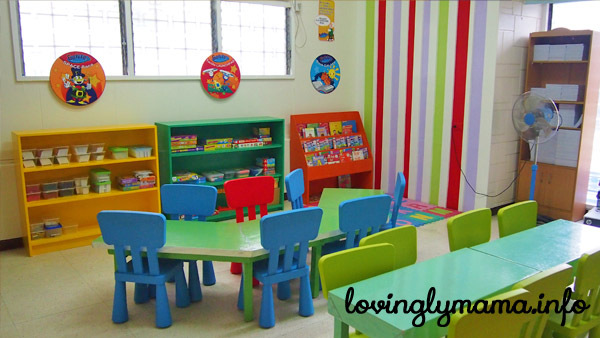 This center aims to develop a child’s love for reading and to enrich his or her vocabulary and comprehension. Galileo Enrichment Bacolod. Book Galaxy has a collection of approved titles written by international and local authors that could help children love reading. This center has activities that employ game-play elements in developing English and Math skills. They have a laptop computer and a tablet loaded with educational programs and apps accredited by the Galileo Learning Program main office. So the programs used in all Galileo centers in the Philippines are standardized. 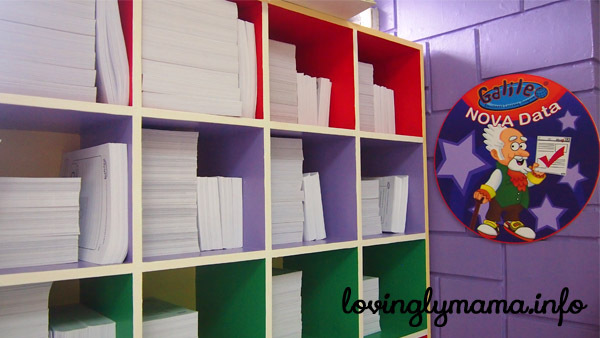 The activities in this center harness reading and writing skills through print- based materials. This space also contains their work sheets to gauge their capacities and abilities at the start of the program as well as testings to determine the students’ progress. Galileo Enrichment Bacolod. The Nova Data center. They also have a rewards system for little milestones in the learning process. 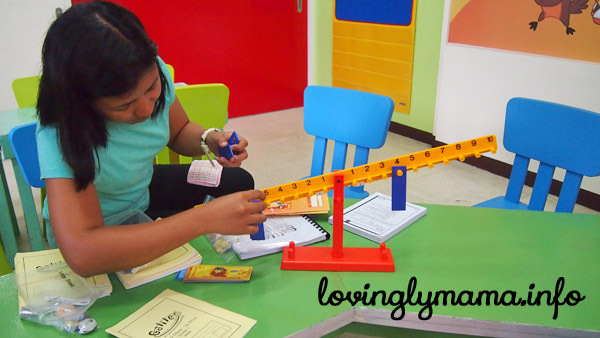 Teacher Jennifer shows this balance scale that could be used in addition and multiplication. Teacher Justin forms a grammatically correct sentence based on this game board. You may opt to have your child enrolled in one subject or a combination of two or three, depending on your child’s needs, schedules, and budget. Math OR English fee is offered at P1860 per month while Singapore Math is P2,500 per month. One month is equivalent to eight (8) sessions only and they meet twice a week. 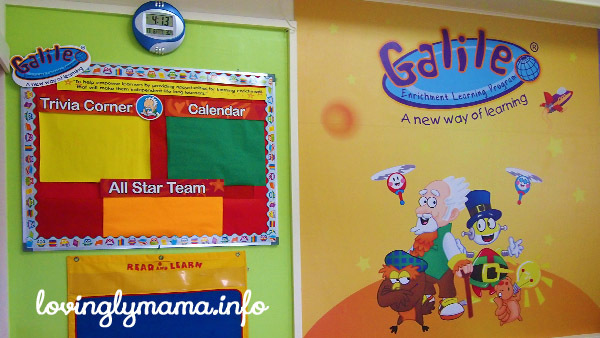 The schedule at the Galileo Center at Bright Kids is on a first come-first serve basis. Upon entering the facility, students will mark their own attendance sheets. But in case the kids are not available or not in the mood to learn on their scheduled time, the teachers are willing to make adjustments and reschedule the sessions on the next available time. A one-time registration fee of P500 will be asked from each student. This includes a Galileo program starter kit. You may call them for more details and promos and discounts. While we live in a world where instant stuff is the thing, this cannot be said in the process of nurturing. Nothing happens in an instant in this genre. So it is recommended that a child be enrolled with the Galileo programs for at least three months in order to see great progress and changes in study habits. Meet the teachers: In Bacolod, Teacher Sheryll Ong (center), owner and directress of Bright Kids Preschool, heads the small team of trained teachers under the Galileo Enrichment Program. At left is Teacher Justin Politico, BSED-English, and at right is Teacher Jennifer C. Anacleto, BSED-Math. To expect that the child will change or improve in just one month is not only unreasonable, it puts unrealistic expectations and pressure on the child. This is based on the premise that each child has different learning styles and pacing and it may take time to get to a comfortable learning pace. Inquire with Bright Kids about their three-month lock-in promo. For inquiries to the Galileo Enrichment Learning Program Bacolod and how it can help your child enjoy learning, you may call or visit Bright Kids Preschool at 10th Lacson Streets, Bacolod City. Tel. No. (034) 433 4713.